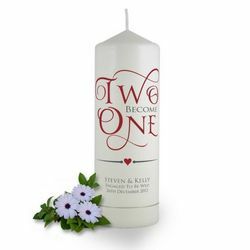 All of our quality designer engagement candles can be personalised with the newly engaged couples names and the date of the engagement. Create a wonderful keepsake today to cherish the memory of that special moment when true love came into the world. Perhaps you’re newly engaged- congratulations! Or you know a couple lucky in love- Brinley Williams has all your special needs for the perfect engagement candles in check. Celebrate your love with our perfect set of engagement candles made by the highest quality designers. 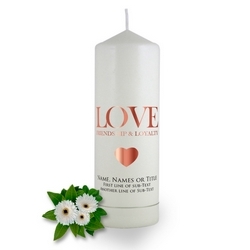 Apart from being great accessories, they are personalized with the couples names and date of the engagement. It’s the best way to commemorate your commitment to eternal love. 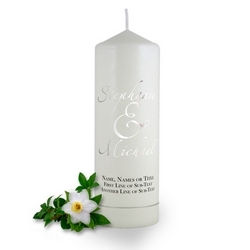 Announce your engagement with our wide range of candles available in a range of gorgeous designs. 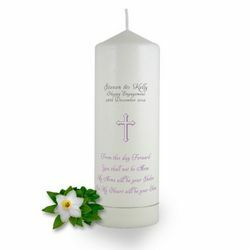 Brinley Williams candles are always the perfect way to give an affordable get thoughtful gift whatever the occasion. 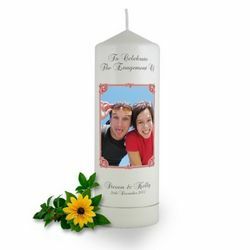 Our engagement candles are a perfect way to tell the world that you’re going to get married to the love of your life and you’re setting off on the journey of eternal love. 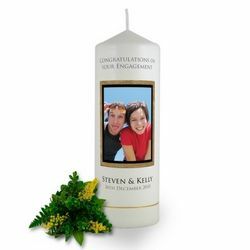 Each candle has been created to crown your engagement day beautifully. Our ‘Congratulations on Your Engagement’ candle is the perfect sentimental gift for those you hold close to your heart. 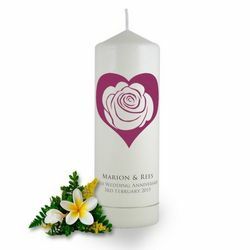 Other varieties include love heart engagement candles, Damask Engagement candles and Rounded Frame Engagement photo candles among many others. Whether it’s your engagement party or you wish to get the valuable gifts for your loved ones, Brinley Williams candles will make the event priceless.